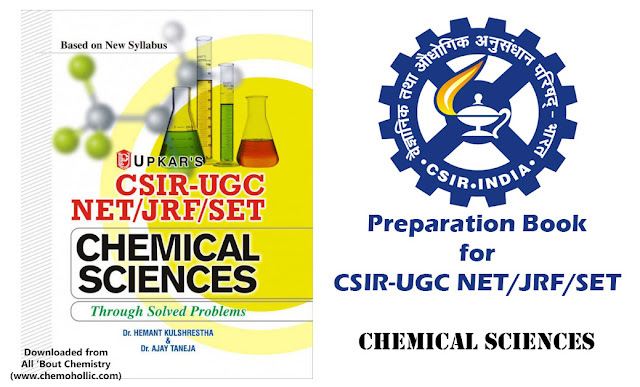 Aspirants for CSIR-UGC NET/JRF/SET Chemical Sciences this post includes a complete preparation book. The book comes under Upkar Publication and contains brief explanation of questions asked in CSIR-UGC NET/JRF/SET exam. The book is a comprehensive guide for students of chemical sciences who are aspiring to beat the competition for the University Grants Commission (UGC) conducted National Eligibility Test (NET or the other competitive examinations of JRF and SLET. From general awareness and scientific aptitude to topics related to chemical sciences, the reference book covers all essential topics for preparation of the examination. The book has been divided into three sections that are further arranged into different topics. The Part A contains theory related to Computer Awareness, General Awareness, Scientific Aptitude, Biology, Chemistry, Geo Science and Mathematics. 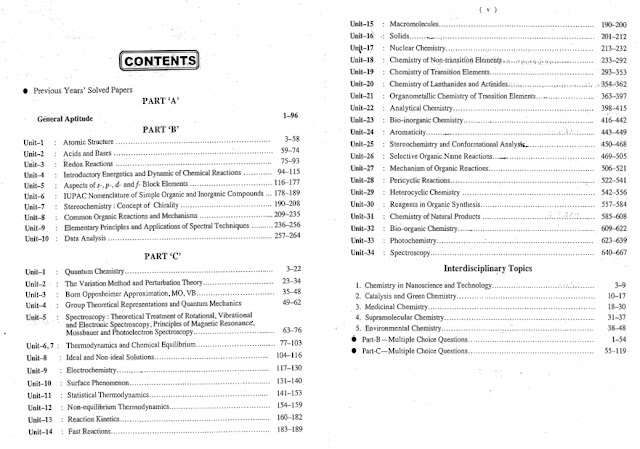 Part B consists of nearly 10 units that include the topics of Atomic Structure, Acids and Bases, Re dox Reactions, Introductory Energetics and Dynamic of Chemical Reactions, Aspects of s-, p-, d- and f- Block Elements, IUPAC Nomenclature of Simple Organic and Inorganic Compounds, Stereo-chemistry : Concept of Chirality, Common Organic Reactions and Mechanisms, Elementary Principles and Applications of Spectral Techniques and Data Analysis. 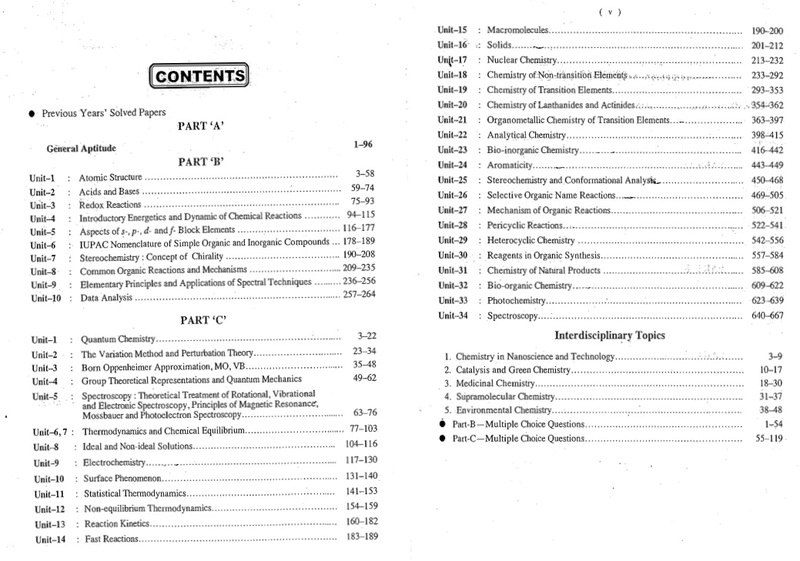 Finally the Part C contains a total of 34 units which include the topics of Quantum Chemistry, the Variation Method, Nuclear Chemistry, Perturbation Theory, Photochemistry, Spectroscopy and others. For self-evaluation, the book has several multiple choice questions with solved solutions that have also been explained at places. The study material gets students to prepare thoroughly as well as assess one performances which can be successively improved before sitting for the forthcoming examinations. Published by Upkar Prakashan, book covers numerous topics with lucid and easy-to-understand language. Hence, is a good companion for candidates appearing in NET/SLET exams. Total 12 Practice Sets on General Aptitude. Explanation of different topics of Chemistry with Questions on each topic. Practice Questions for each topic seperately. What will you get for Rs.150? The Book is split into two PDF which are compressed in single Zip File. Easy Pay and Download Option. Download compressed file (approx 167 MB) from the link generated after payment. 27 June 2017 at 09:48 delete This comment has been removed by the author. Can anyone pls tell me about this book edition year? Is it same as the book available in amazon? Your reply will be more helpful to me..